Jesus Love Mercy & Me was birthed out of a love for Jesus, His Love, and Mercy and how much he has touched my life in 52 years. It is my sincere prayer and hope that I will be able to share His story of redemption and grace, be an encouragement to you, share inspirational stories and thoughts. I live in the Midwest with my husband, daughter, grandson and a dog that thinks the world revolves around him (it doesn’t?) and two territorial cats. We also have two older daughters, a son, son-in-law and three more beautiful grandchildren. May you know how much Jesus loves you! Blessings! 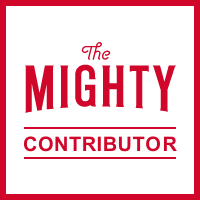 As a Contributor to The Mighty, I have found many encouraging stories for people that live with illness, chronic disease. This is a site where you can find hope. As an Independent Plexus Ambassador, let me help you find solutions to all your healthcare needs. Plexus is a Health & Wellness Company that offers supplements to enhance your life as you strive to achieve Optimal health!